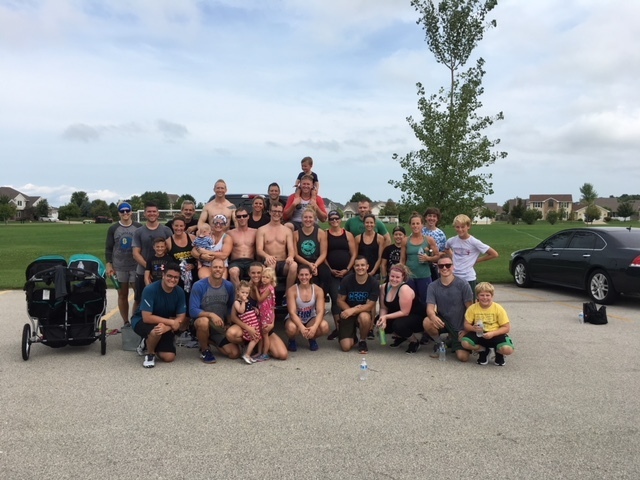 Want to thank Jake and Dani for hosting yesterday’s Labor Day Park Workout! Hopefully this becomes a Labor Day tradition. Good time had by all. On another note I would like to send all the kiddos headed back to school best wishes on the beginning of their 2018-2019 school year. Hope you all had a great summer and your brains were well rested! Note: Use load within 10% of 10RM. If you have no baseline find a doable 10 rep load and use that. 1abmat strict HSPU, ghd to //. BS 125#. 21@115#. Subbed 7 HSPU for 12, with 2 mats. Bs 95#, 88-25 reps. 3 rds +7 hspu, subbed 8 hspu for 12.. 15#plate and ab mat.